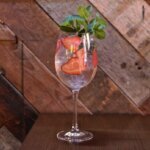 Whether you’re participating in “dry January” or simply want some non-alcoholic alternatives this year, you’re in luck. Bars across the country are mixing up delicious mocktails that taste just as good as the real thing. If you want to try your hand at non-alcoholic drinks at home, these four mocktail recipes are simple to make and impressive to serve. Healthy, seasonal food is always the star of the menu at The Fat Radish, and they always like to offer some non-alcoholic drink options, too. 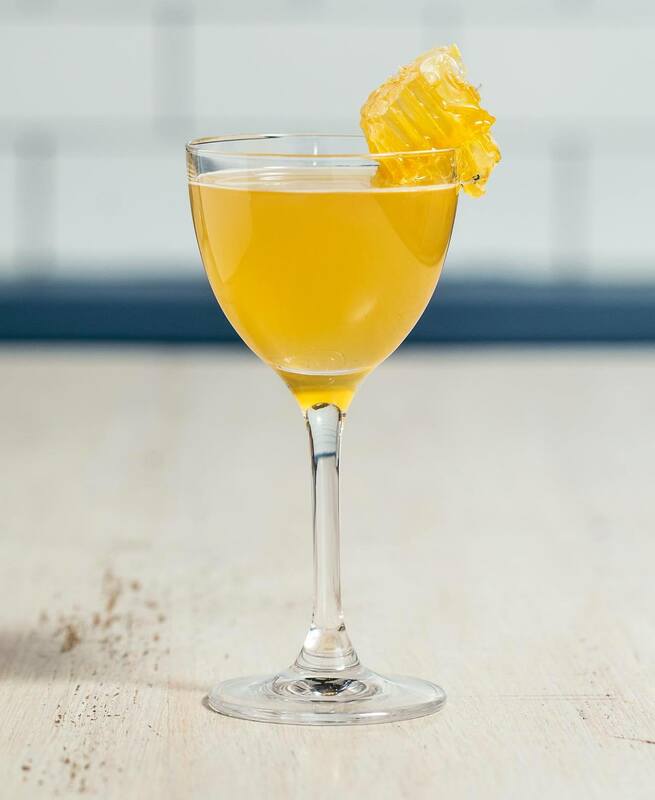 This wonderful mocktail mixes Seedlip Spice with a tea honey cordial, pear vinegar and CBD oil for a tasty drink that delivers all the relaxing vibes. Preparation: Add all ingredients to a mixing glass with ice. Stir until cold and strain into a Nick & Nora glass. Garnish with a piece of honeycomb. Preparation: Add honey to the tea while it’s still hot, and stir until it dissolves. 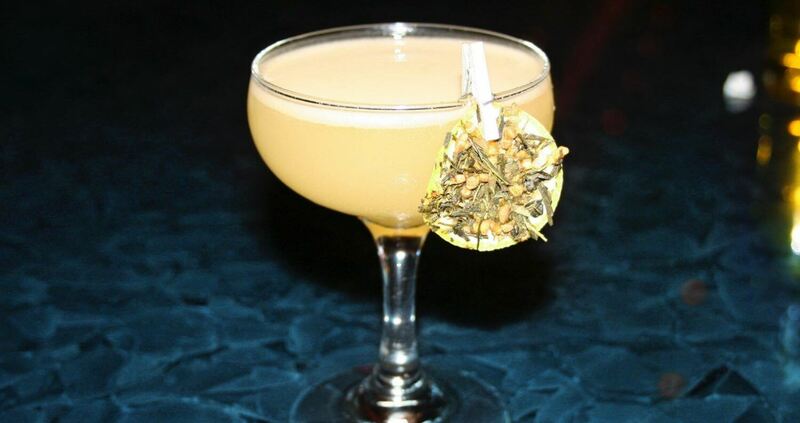 This bright libation will bring a ray of sunshine into your happy hour, even on the coldest winter day. 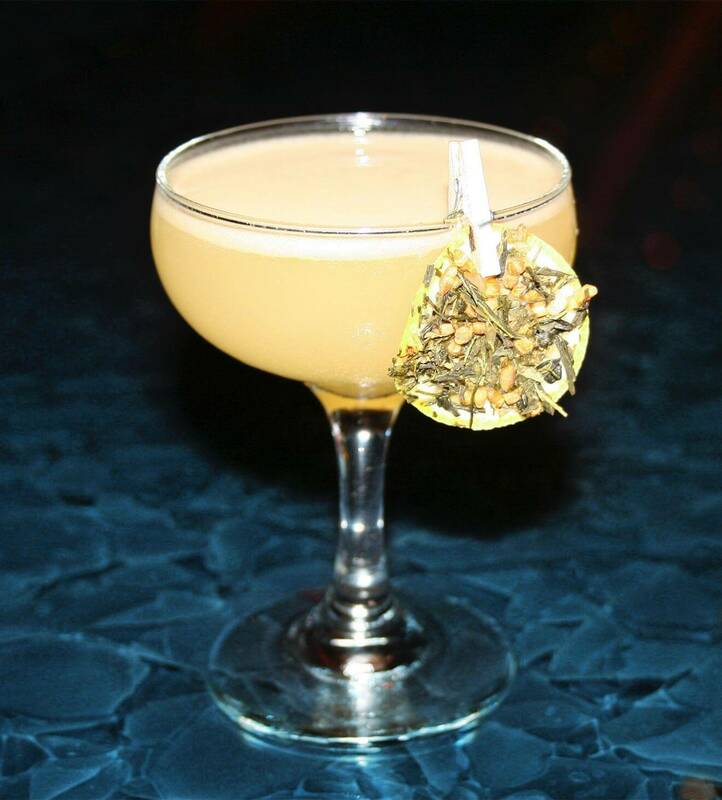 Created by Sen Sakana beverage director Zachary Gross, an egg white adds some depth to the mix of green tea, bergamot orange juice and lime. Preparation: Add all ingredients, save for the garnish, to a shaker tin. Dry shake. Add ice and shake again. 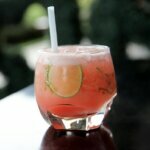 Double strain into a coupe glass and garnish with a lemon slice. 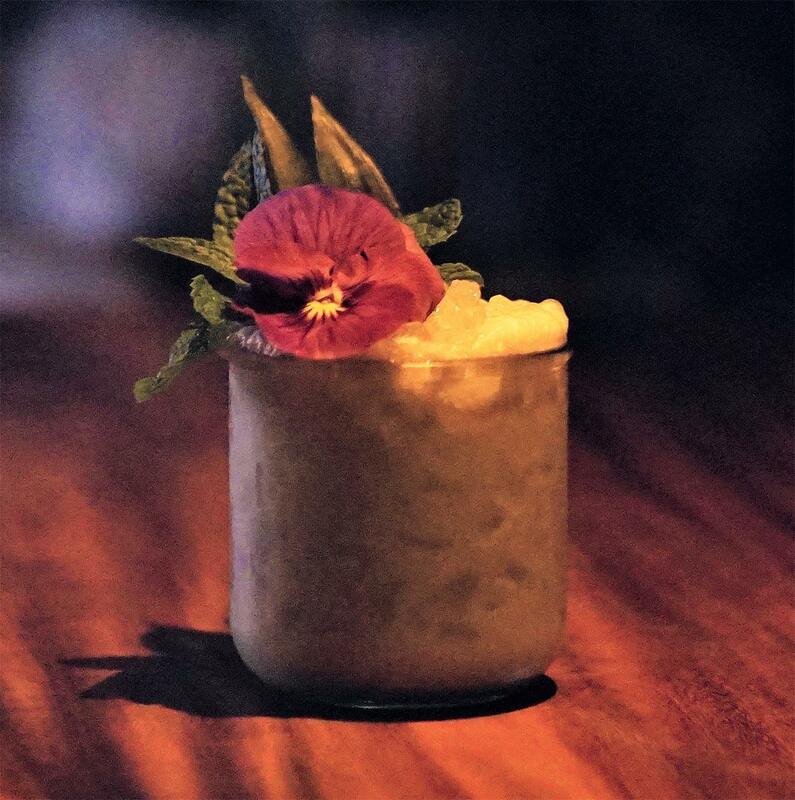 It’s always summer at Polynesian Noir-inspired Last Rights in San Francisco, and you can channel their warm weather vibes with this tasty mocktail. The frothy blend of celery and pineapple juices, rich coconut cream, tangy ginger solution, and bitter lemon soda is just as satisfying as their alcoholic version of the drink. Preparation: Add all ingredients, save for the soda, to a cocktail shaker with ice. 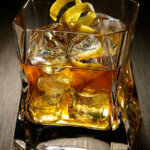 Shake and strain into a lowball glass filled with fresh ice. Garnish with an edible flower, if desired. 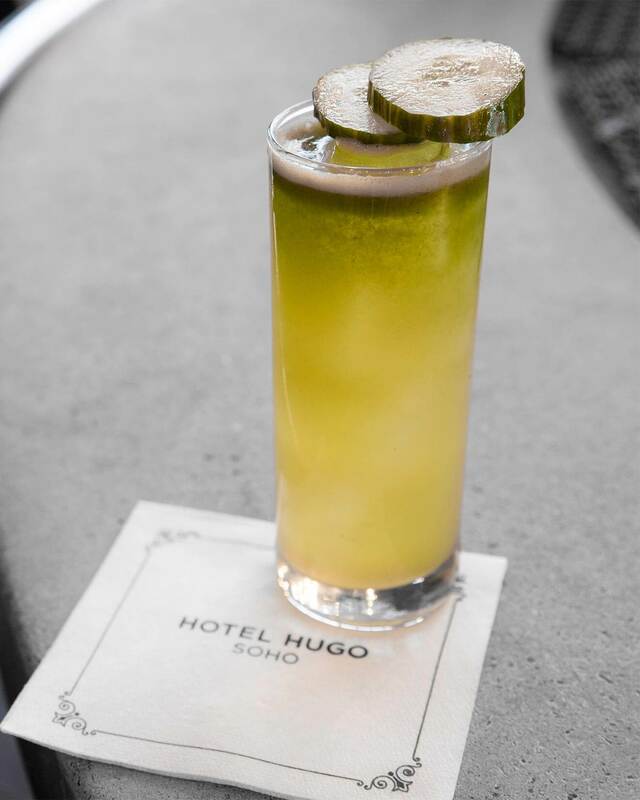 Hugo Rooftop, which is perched on the 20th floor of NYC’s Hotel Hugo, is an elegant all-season bar that serves delicious drinks alongside sweeping views of downtown Manhattan. This refreshing mocktail combines cucumber juice with agave, herbs and club soda. 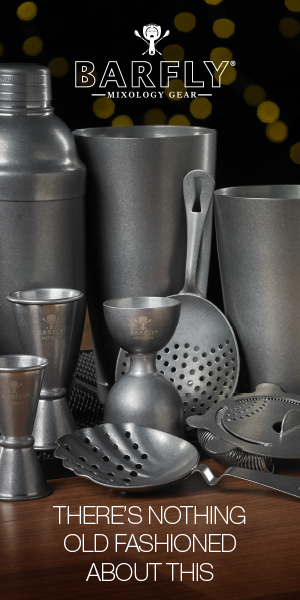 Preparation: Add all ingredients, save for the club soda, to a shaker with ice. Shake well then double strain into a highball glass and top it off with club soda. Garnish with an oval cucumber slice. Preparation: In a hot saucepan on medium heat, add water until it’s hot then, add the agave and sugar. Stir slowly until fully dissolved. Once dissolved, add the thyme sprigs and stir for 10-15 mins on low-med heat. To finish it off, place it in a cool place or refrigerator to cool down.